More Michigan couples are using midwives to have their babies at home. While it can be a good option for many, the risks can have deadly consequences. Home births are on the rise: 1,283 women in Michigan chose to have their babies at home in 2017 (the most recent statistics that were available). Many of those women used a midwife to deliver. The State of Michigan is about to require all midwives to be licensed, but many are asking if that’s enough to keep moms and babies safe. 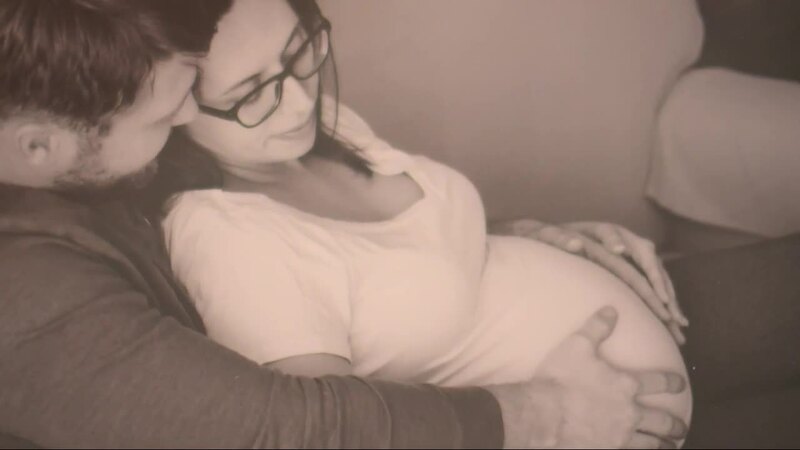 ROMULUS, Mich. (WXYZ) — More Michigan couples are using midwives to have their babies at home. While it can be a good option for many, the risks can have deadly consequences. Home births are on the rise: 1,283 women in Michigan chose to have their babies at home in 2017, according to the most recent statistics that were available. Many of those women used a midwife to deliver. The State of Michigan is about to require all midwives to be licensed, but many are asking if that’s enough to keep moms and babies safe. Jazmine and John Danci’s son Jonah was born Feb. 8, 2018, but he only lived for three days. Jazmine says she had a very healthy pregnancy and wanted to deliver at their home in Romulus. “It felt like we could be in more control in a more intimate setting,” she said. So the Danci’s hired midwife Helen Stockton of Mother Earth Midwifery in Ann Arbor. “We were assured over the entire pregnancy that we were healthy, and the baby was healthy,” Jazmine said. Once Jazmine went into labor, she says she was pushing for hours before her water broke. Then Stockton made a shocking announcement. 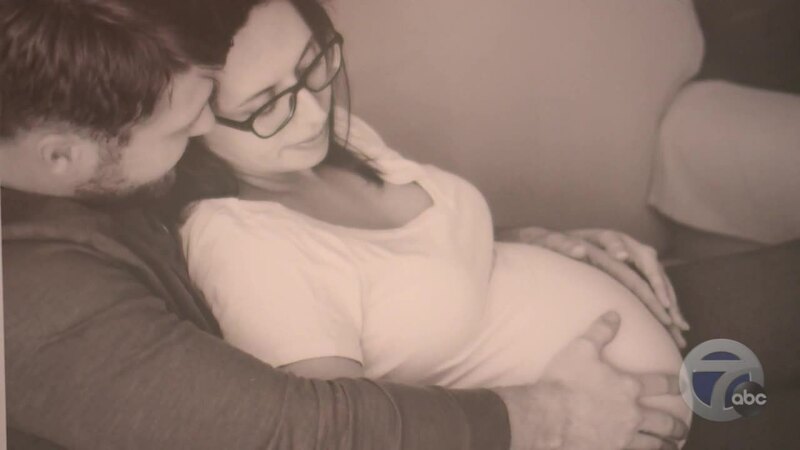 “At that point she mentioned to myself and everybody else that was in that room, this is a surprise breech baby,” said Jazmine's husband John. Breech means Jonah’s head was still facing upwards, and medical experts say breech deliveries are extremely risky. “It’s obstetrics 101,” said medical malpractice attorney Brian McKeen, who has sued several midwives during his career. He’s now representing the Danci family. The Danci’s say Stockton, their midwife, encouraged Jazmine to keep laboring at home. “She advised us against a C-section," Jazmine said. "She said that those risks far outweighed her suggestion to stay at home." According to the notice to sue that McKeen has sent to the midwife, about 15 minutes after Stockton announced that the baby was breech, family members who feared for Jazmine’s safety called 911. The Danci’s say their midwife told Jazmine, “there was no need to head to the hospital,” and Stockton “refused to talk to” the paramedics, so they left. By the time Jonah was born he wasn’t breathing. That’s when another ambulance was called. Paramedics rushed Jonah to the hospital, but after three days Jonah had to be taken off life support. “Those three days were the toughest, worst, hardest days of my life,” Jazmine said. We tried to find Stockton to hear her side of this story, but all of the addresses listed in Ann Arbor for her Mother Earth Midwifery appear to contain other businesses now. The 7 Investigators stopped by her home in Ypsilanti but Stockton ran back inside her home once she recognized us. Stockton isn’t the only midwife that 7 Action News has investigated. Back in 2011 we showed you how mothers like Nibras Mushin wanted Michigan to do more to license and regulate midwives and home births. It wasn’t until 2017 that the new legislation passed, requiring all midwives in Michigan to become licensed through the Department of Licensing and Regulatory Affairs, or LARA. Right now in Michigan, there are several types of midwives. Hospitals use Certified Nurse Midwives for mothers who want a more natural birth experience. They are licensed as nurses and have special certifications for midwifery. Certified Nurse Midwives typically deliver in a hospital room that’s more “bedroom” than “delivery room,” but doctors are nearby in case intervention is needed. Michigan has historically allowed Direct Entry Midwives, who deliver babies at home or in independent birthing centers. Some DEMs choose to become Certified Professional Midwives, or CPMs. CPMs undergo extensive training and study to get certified by the North American Registry of Midwives, or NARM. Under the new licensing rules, all Direct Entry Midwives and Certified Professional Midwives will have to become licensed. The Nurse Midwives are already licensed as nurses. The new rules won’t take effect until May 2019, but attorneys like Brian McKeen say they don’t go far enough to protect babies from what he calls preventable deaths and brain injuries. “There needs to be accountability and the public needs to know that these home birth situations can be dangerous,” McKeen said. McKeen has won $5 million in judgments against midwives for botched deliveries. However, McKeen says families can rarely collect because the midwives often don’t carry malpractice insurance, and the new licensing rules don’t require it. That means if your injured baby needs lifetime care, you likely won’t be able to get financial help. “There’s really no adequate insurance to provide coverage for a brain damaged baby," McKeen sad. "The cost of care for a brain damaged baby can be tens of millions of dollars." Under the licensing rules, midwives in Michigan will soon have to disclose to any potential patients whether they carry malpractice insurance. As for Helen Stockton, Romulus police have opened a criminal investigation into the death of baby Jonah. A spokeswoman for the Wayne County Prosecutor’s Office says they are still reviewing the case. Helen Stockton’s attorney, Alexandra Guiliani, tells 7 Action News that Stockton feels a tremendous amount of sympathy for the family, and that she is cooperating with the police investigation. Guiliani says Stockton has already completed all the requirements for licensure, including additional training in breech births, and says Stockton will be applying the moment the process opens this May. The 7 Investigators reached out to members of the North American Registry of Midwives, Certified Nurse Midwives in a local hospital, as well as local midwives on the new state licensing board. So far, they have all refused to return our calls or participate in this story.